My brother, Marc, is on the phone with his wife at left. I'm on the right. This picture was taken in Marc's hospital room at UCLA Medical Center. 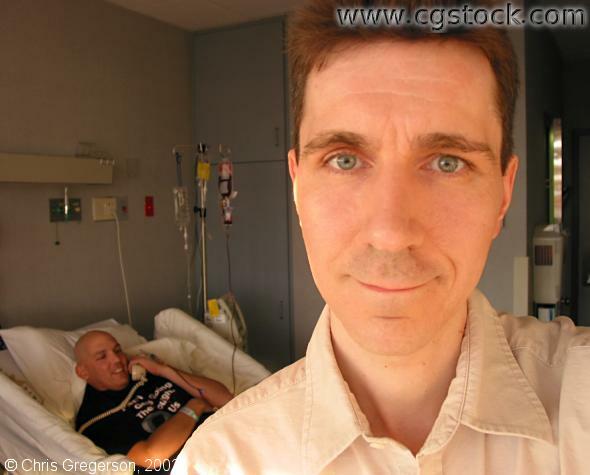 He was there for a stem cell transplant and I was staying with him in his room.